To create a hypothetical design conference and design a holistic visual system for it. 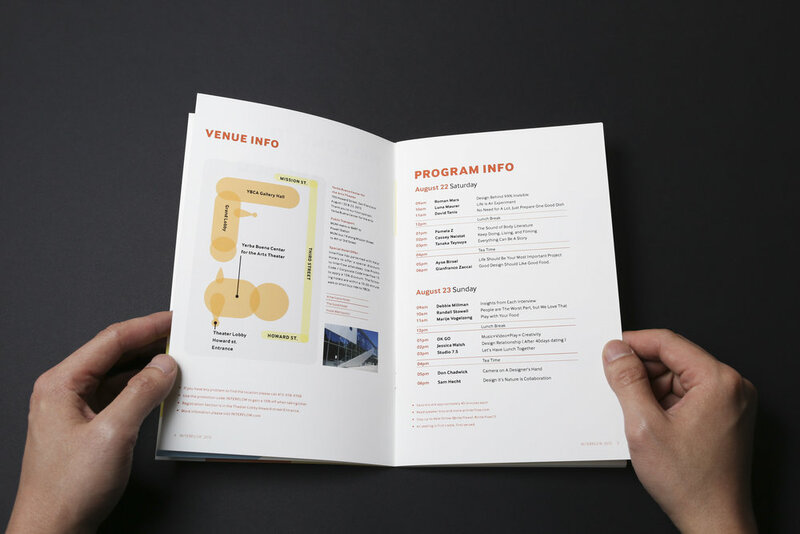 Show the ability to create a sophisticated visual concept that matches aim of the conference. 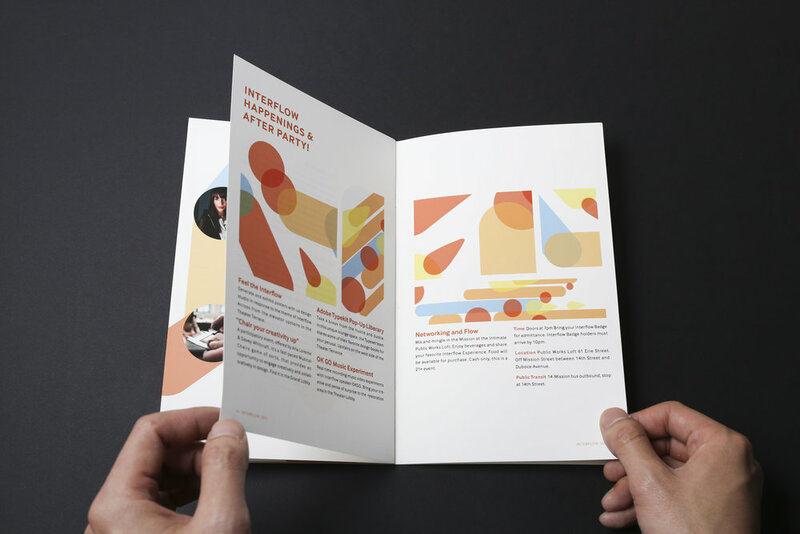 The goal is not only to challenge a designer’s ability to demonstrate conceptual and visual design skills but also to demonstrate typography skill all in a highly flexible design system which fits the need of a design conference. Winning entry in the 2016 Print Regional Design Annual in Print Magazine. Featured in the RDA 2016 (Winter Issue) of Print magazine. I created a design conference called Interflow Design Conference a design talk series that gathers people in different fields to share their creative process and inspirations. The speakers are not only from fields of design and visual arts, but also in the music industry, podcast media, publication, and industrial design. Circles, stripes, and different colors are meant to represent different creative ideas that interconnect and flow together to represent this inspirational event.